Gourmet tomato with a French accent. Juicy. Succulent. Extraordinaire! A culinary star in France, where a favorite instant feast is a scooped-out Marmande brimming with a mild cheese. Hefty, broad-shouldered beefsteak, scarlet and light-ruby, ‘Madame Marmande’s 10 oz. fruits are loaded with rich flavor. Fruits won’t crack like other Marmande varieties. Indeterminate. Tomato, Madame Marmande Hybrid is rated 3.9 out of 5 by 15. Rated 4 out of 5 by Terence from Delicious! These are without a doubt the most delicious tomatoes that I’ve ever grown. Rated 5 out of 5 by NJ Tomatoman from Sweet Flavor Tried this in 2018. Fruit is on the larger side of medium sized varieties. 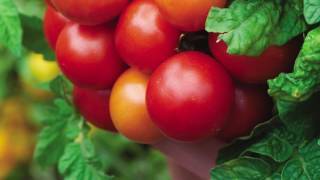 It has a distinctive sweet flavor, which is a nice complement to your tomato collection. If I were growing just two or three plants this wouldn’t be one of them. But in a larger collection Madame Marmande adds nice breadth to your harvest. Rated 5 out of 5 by Robd46 from Terrific French tomato I've grown this variety before. It did well in the rainy Northeast this season producing large fruit with great flavor and no cracks. Only complaint this season is that yield was lower than previous years most likely due to the excessive rain. Rated 5 out of 5 by Jimfo from WOW! Wow is all I can say! 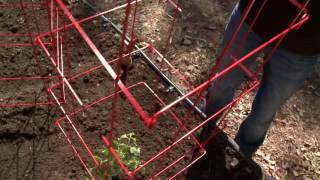 People want to know what I am growing and what fertilizer I am using. So far, everything in the description of this tomato is true. From the size and taste to the robustness of the vine. Definitely growing again next year. Rated 5 out of 5 by CindyLu from great taste, perfect for slicing and for sauce too I bought these last year and they did terrific despite the drought in Mass. Grew great, heavy yields and delicious. Growing a bunch more this year! Rated 5 out of 5 by Thistletlf from Super Taste and Growth Purchased one of these last year as a three for set and they arrived looking very weak, small, and bedraggled due to the trip thru the mail. I was still hopeful and planted these with care using a zoo brew compost and not much else. Ohio had a good summer 2016 and I planted marigolds around my tomatoes for the pests. That's it. Beeyouteefull and tasty tomatoes!